Given the current state of the UK economy today’s post title might be seen as pretty reckless however I’m not so sure. I’m not talking short term trader talk here rather I’m sitting here writing this post thinking as a long term investor. This thought has come about after MoneyWeek referred to the Big Mac Index which is an informal way to determine whether a currency is over or under valued based on purchasing power parity. The theory is that the same item should cost roughly the same anywhere in the world. In my opinion this theory is probably a little naive as the Big Mac Index is based on a price which is what the product is sold for. A price is of course the cost of producing the product plus any profit and I know from companies I have worked for that price is not correlated in any way to cost in different countries where products were sold. That is profits in absolute or percentage terms for an identical product can be very different in different parts of the world. If McDonalds has the same pricing policy then this could skew the index. I guess with some time one could also pull together a Starbucks Index, an Apple iPhone Index or even a Samsung 32” LCD TV index. Now we come to why I’m so interested in looking at this Index. 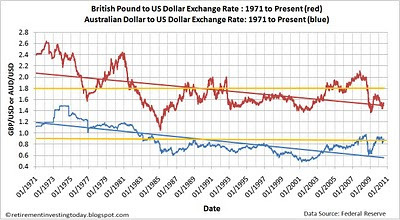 Let’s compare the British Pound (GBP) against 3 currencies. 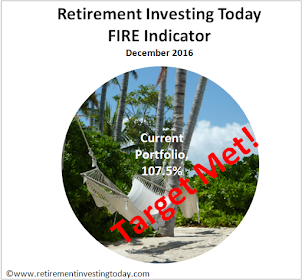 - I currently hold 19.5% of my total Retirement Investing Low Charge Portfolio in Australian Equities which are priced in Australian Dollars (AUD’s). Using the Big Mac Index would suggest that the Pound is undervalued by about 10%. 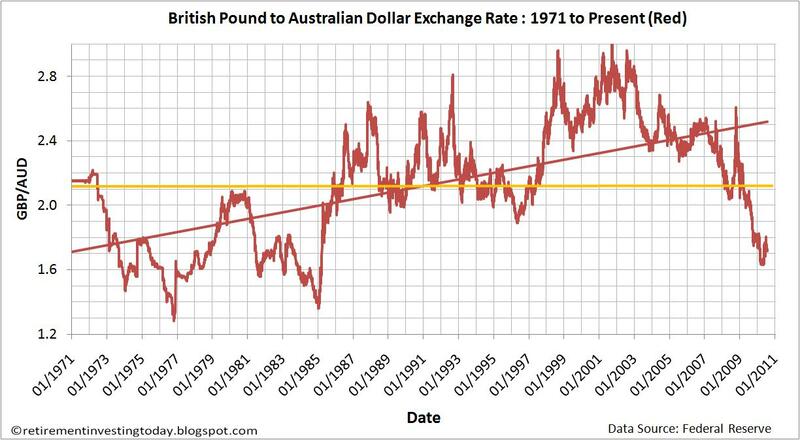 My first chart today is a little more scientific and shows the exchange rate between Britain and Australia since 1971. The average exchange rate since then has been 2.12 compared with 1.73 today suggesting the under valuation is even worse at 18%. 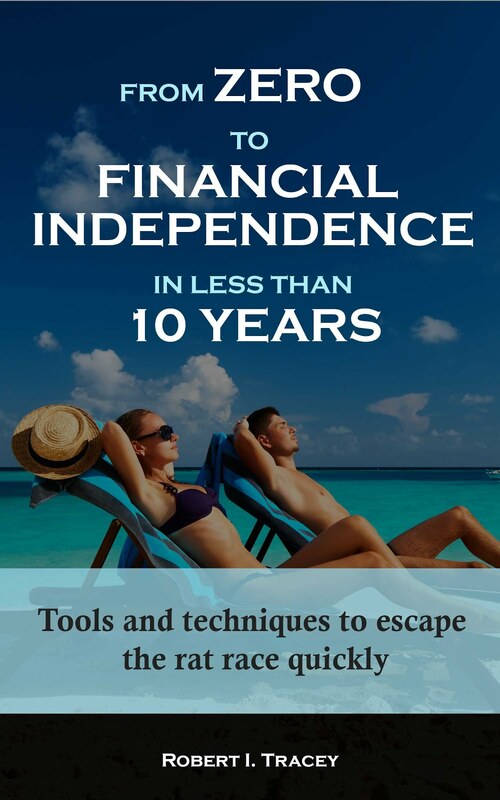 - Within the international equities allocation of my Portfolio I currently hold 39% in the US stock market so the Pound to US Dollar (USD) is also of interest. Using the Big Mac Index would suggest an undervaluation of 7%. 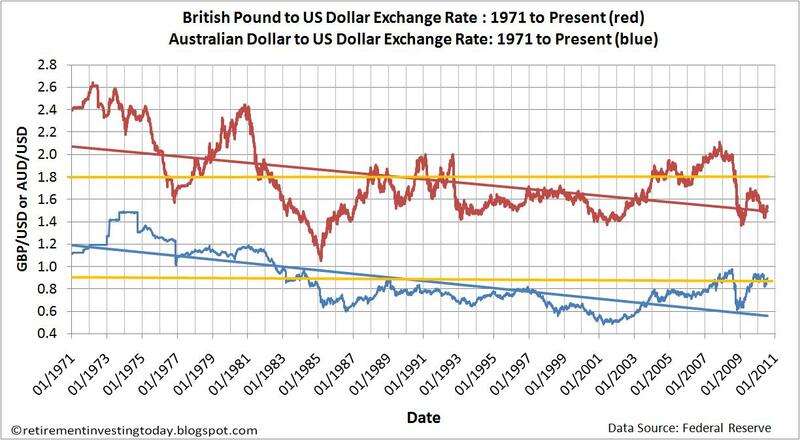 As a comparator my second chart today shows the exchange rate between Britain and the US since 1971. The average exchange rate over that period has been 1.78 and so with an exchange rate today of 1.57 suggests an under valuation that is also worse than the Big Mac Index at 12%. - Again within my international equities allocation I currently hold 38% within Europe which is predominantly in Euro’s (EUR’s) and so the Pound to Euro is also of interest. Using the Big Mac Index we see an under valuation of the Pound of some 24%. 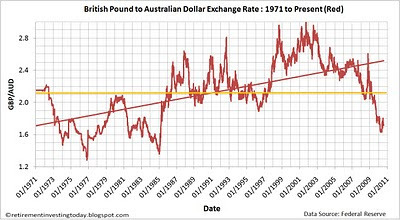 Assuming that over the long term the exchange rates will resort to long run averages it could make since to be under weight overseas equities and overweight UK equities using the assumption that all developed world stock markets are heavily correlated. Of course I’m not that type of investor but it is food for thought. Thanks for the charts here, it is instructive! Agree fully with you. Some of my out performance against my benchmark is surely due to GBP devaluation.